5-disk series with guest speakers Dr Mike Goheen & Dr Peter Riddell. 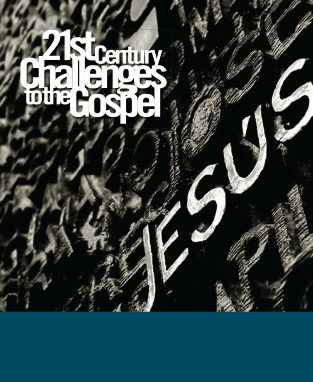 The School of Theology and the School of Mission & Ministry of Laidlaw College partnered to sponsor the 21st Century Challenges to the Gospel conference. Guest speakers included Dr Mike Goheen, Geneva Professor of Reformational Worldview Studies at Trinity Western University, British Columbia, Canada; and Dr Peter Riddell, Professorial Dean, Centre for the Study of Islam and Other Faiths at Bible College of Victoria, Australia. Disk 1 - Peter Riddell - Engaging with Islam Part 1: In this first session, Dr Riddell scans the background of Islam, the history of its development, and the diverse beliefs of Muslims from about 600 AD to the present. Disk 2 - Peter Riddell - Engaging with Islam Part 2: In this second session, Dr Riddell explores Islam's call to its own followers as well as its missional ambitions on a global scale. Disk 3 - Peter Riddell - Engaging with Islam Part 3: In this final session, Dr Riddell asks what it means for Christians to engage with Islam. Can we partner together? Will there be a conflict? What about evangelism? He appeals to a number of case studies as he develops his views. Disk 4 - Mike Goheen - Gospel, Culture and Mission: Three Urgent Starting Points for a Healthy Church: Dr Goheen challenges church leaders to think about the meaning of the gospel, a missional understanding of the church's task and the way religious beliefs have shaped Western cultures. Disk 5 - Mike Goheen - Twelve Priorities I'd Pursue if I Church-Planted or Pastored Again: In this most practical session, Dr Goheen considers twelve priorities for church leaders and healthy churches in the 21st century.